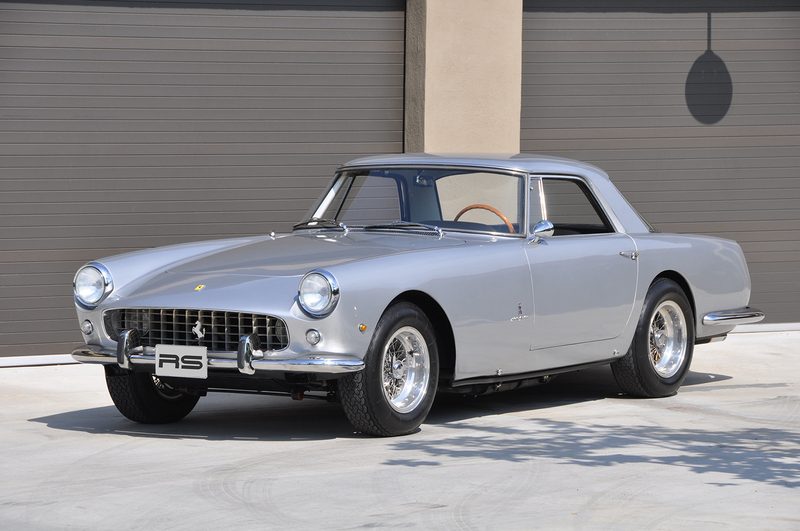 Scottsdale, Arizona (August 8th, 2017) – Once again for the company’s 17th annual installment, Russo and Steele Collector Automobile Auctions is presenting an exciting and diverse selection of collector automobiles during this year’s Monterey California collector car week. As a central component of car week’s festivities, Russo and Steele’s action packed event has become one that those “in the know” consider to be a can’t miss engagement. Part sporting event, part concert, part cocktail party and all about the best quality collector automobiles available to the broadest spectrum of collectors and enthusiasts alike, Russo and Steele offers a high impact, “Auctions in the Round” style experience that can be achieved nowhere else in the world. Held again from the companies beautiful and exclusive location on the waterfront at Downtown Monterey’s historic Fisherman’s Wharf, this year’s event, taking place August 17-19, will feature a handpicked selection of European sports cars, American muscle cars, hot rods, customs and late model exotics and promises to deliver another signature experience that will continue to make Russo and Steele one of the most talked about automotive lifestyle events in Monterey for yet another year. 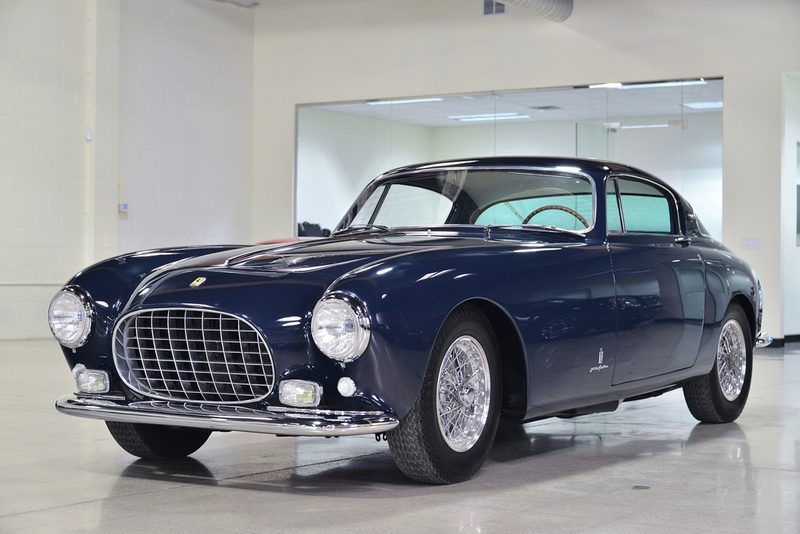 This outstanding Europa was finished on December 17, 1953 and was sold to its first Italian owner in February of the next year. It is the 9th of only 16 Europa Coupes that ever left the factory. During the 1950s, it was bought and sold several times, all among Italian owners, and in the 1960s it was exported to New York. Since then, it has never left the United States. Recently, it has been the subject of a full restoration with paint and interior done by noted marque expert Brian Hoyt of Perfect Reflections. Hoyt finished the car in its stunning original color combination of Blu Montagna with beige hides and dark blue piping. The correct, outside laced Borani wheels are on the car and are in perfect condition. Overall, this vehicle presents as virtually new and shows no wear at all. 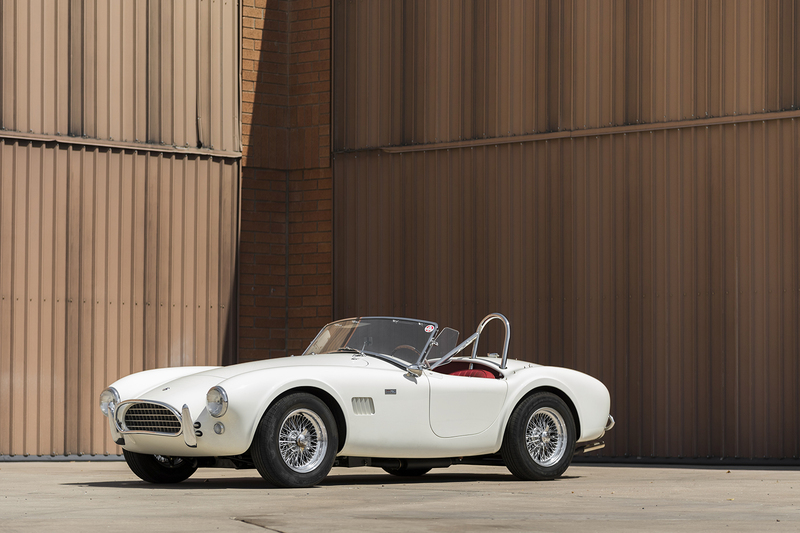 Coming from long term ownership, this 1965 Shelby 289 MK II has been under the consignors care since 1975 and is reported originally as a Shelby factory demonstrator. The recipient of a total restoration by marque experts McCluskey Ltd in 2012-2014, It benefits from a complete body off restoration with all mechanicals rebuilt or replaced. All the electrical components were redone and it also received a new dash and upholstery. It was repainted in the correct shade of white and a five-speed transmission was added for touring. Original re-built aluminum Borg Warner T-10 transmission and linkage are available. This 1961 “Enzo Era” masterpiece is powered by the famed Columbo V-12, producng 250 horsepower and featuring a period blistering top speed of 141 miles per hour. 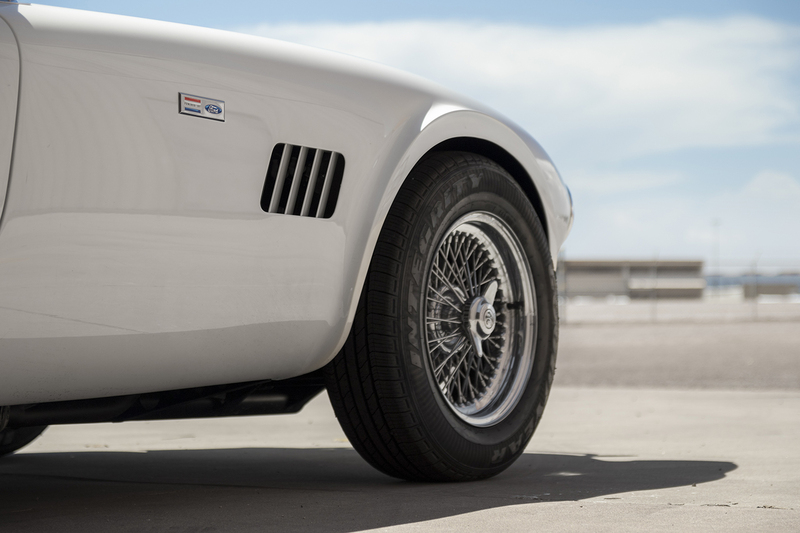 A desirable Series II with outside plugs and disc brakes, this numbers matching Ferrari 250 GT PF was the 261st of the 355 produced and was allocated to famed New York based Ferrari importer Luigi Chinetti. Documented service history from new, it is one of the most highly coveted of the touring Ferraris and represents a rare find for the serious enthusiast. McLaren Mk 1b Chassis 30/10 was originally powered by a Ford motor and was raced at Nassau Speed Week by Peter Revson. It 1967 it was converted to Bartz Chevrolet power which is still in the car. It spent most of its life on the west coast driven by Jerry Entin at Laguna Seca, Road America, Riverside and Tucson. 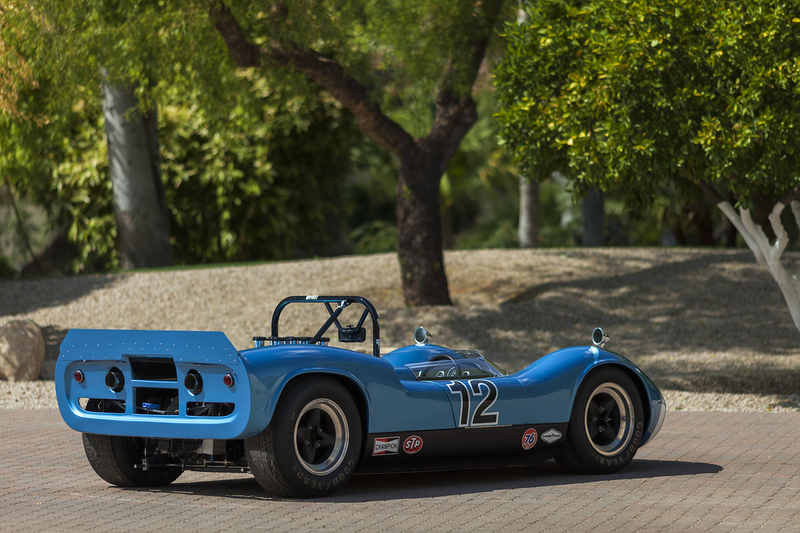 In 2011 through 2015, Entin’s dream to restore the car to its original form, as raced in 1966/67, was realized by the conclusion of a full restoration performed by renowned Can-Am mechanic and restoration experts. It is listed in the McLaren and Victory Lane Registry and has all current FIA paperwork, HMSA Handbook and participated in the 2017 Long Beach Grand Prix Can-Am reunion. This striking 1992 Ferrari 512 TR is, according to Ferrari factory records, is the first of just two factory prototype pre-production US spec cars. 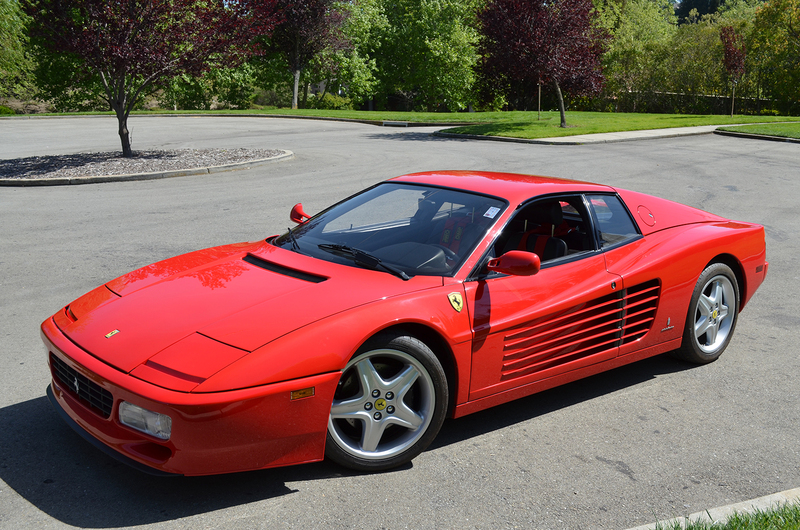 The 512 TR was introduced in 1992 as a completely re-engineered version of the beautiful and iconic Testarossa. It is powered by a 4943 cc flat V12 that is longitudinally mounted and produces 421 horsepower. It has a top speed of 195 miles per hour and a 0-62 time of only 4.8 seconds. This amazing piece of Ferrari history displays in excellent condition and shows extremely well, becoming an instant head turner for both the casual enthusiast and the true connoisseur alike. 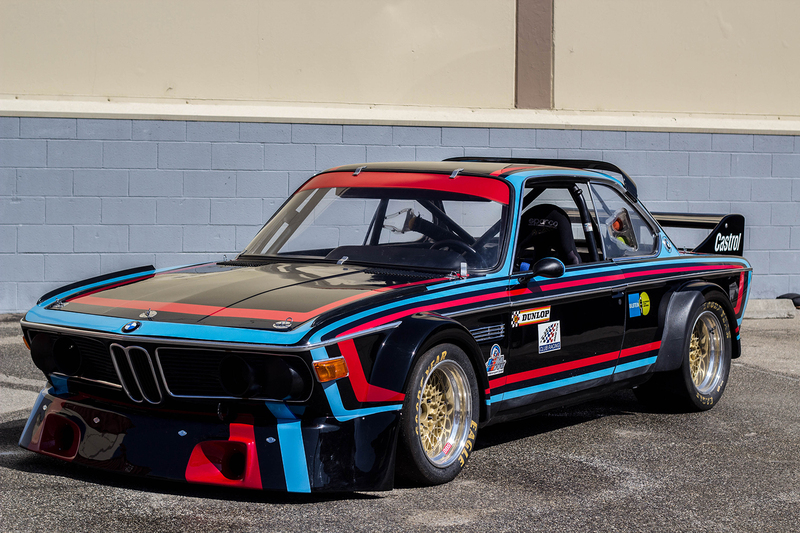 This beautiful 1972 BMW CSL was originally purchased by Dahmen-Tuning and converted to racing specs by Heinz-Jörgen Dahmen in Germany. Heinz-Jörgen Dahmen was a prominent racer from 1972 through 2004 with five wins and eight podium finishes. The car was eventually purchased by Cullen “Cuffy” Crabbe. Cuffy is the son of Buster Crabbe who was a 1932 Olympic gold medal swimmer and actor. Cuffy Crabbe drove the car in several vintage races and converted the car to Group 2 specs with an updated engine. The car is in excellent condition and race ready. Comedian and prominent car collector, Adam Carolla, purchased the car from Cuffy Crabbe in 2011 and it has been professionally maintained and part of his collection of vintage racing cars. This early 80’s supercar icon is presented is in pristine condition and is surely one of the finest 512 BBi’s available anywhere today. With only 8500 miles, it has been maintained in as-new condition. Black paint and black leather interior show in exceptional condition and it is presented with all the tools, books and records. 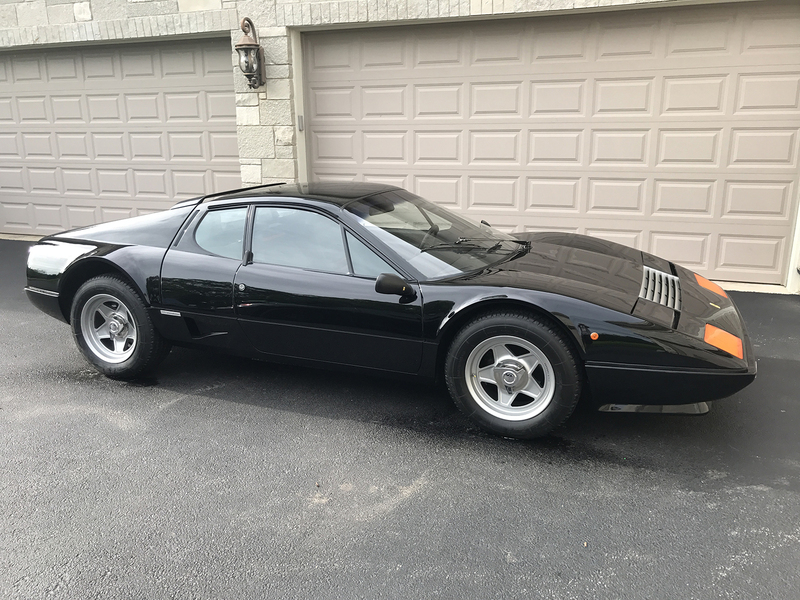 With only roughly 1,000 of the fuel-injected 512 BBi’s produced over its full production run, this is an opportunity to acquire the best of this very desirable and drivable Ferrari model. The original owner of this exciting 911 Targa was non-other than noted journalist and automotive enthusiast John Buffum. It is offered with a Porsche Certificate of Authenticity (COA) and has the original motor and transmission. It was restored in 2014 by Classic Showcase and was repainted in its original colors. 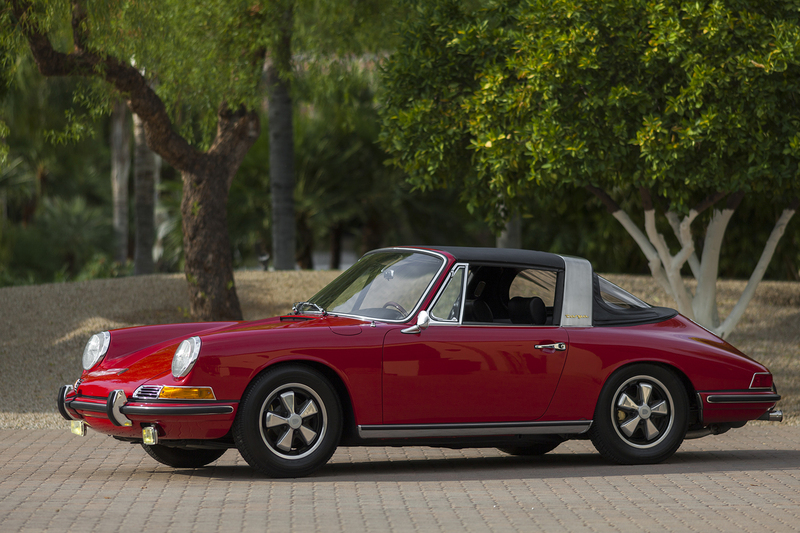 A properly documented and restored example of a popular and highly desirable Porsche 911 S Targa. Presented is one of only 859 Ford Mustang Boss 429s built in 1969. It is fully documented by Marti Auto Works as a correctly restored original Boss 429. It is finished in Royal Maroon and is a matching numbers original car. It is powered by the legendary 429 CID 4V Cobra Jet HO 375 horsepower Ram Air engine. It has had single ownership since 1976 and was in storage for 33 years prior to receiving a ground up restoration. 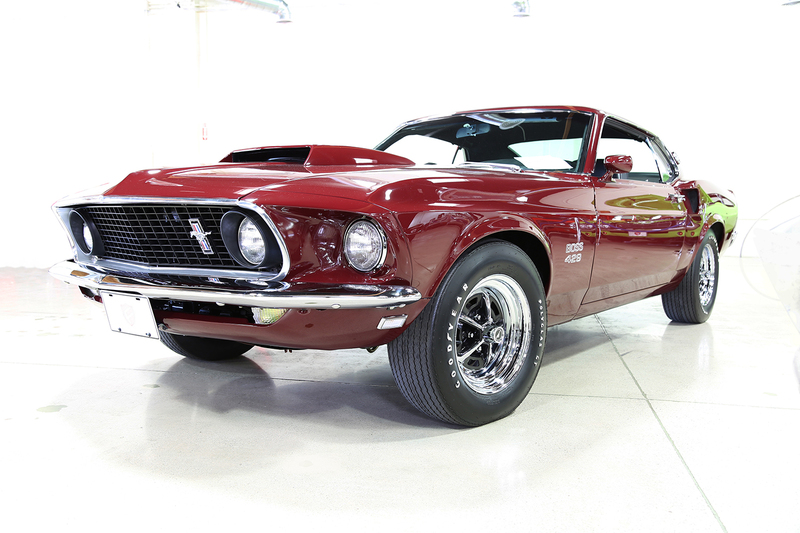 This is an exceptional example of a high-performance Ford Mustang Boss 429 that has received a quality restoration and is ready for go or show! Famed comedian Jerry Seinfeld is a committed Porsche fanatic whose collection is well respected. The 2007 Porsche 911 GT3 RS presented is documented, with a Bill of Sale, as being purchased by Seinfeld on June 26, 2007 from Manhattan Motors in New York, City. 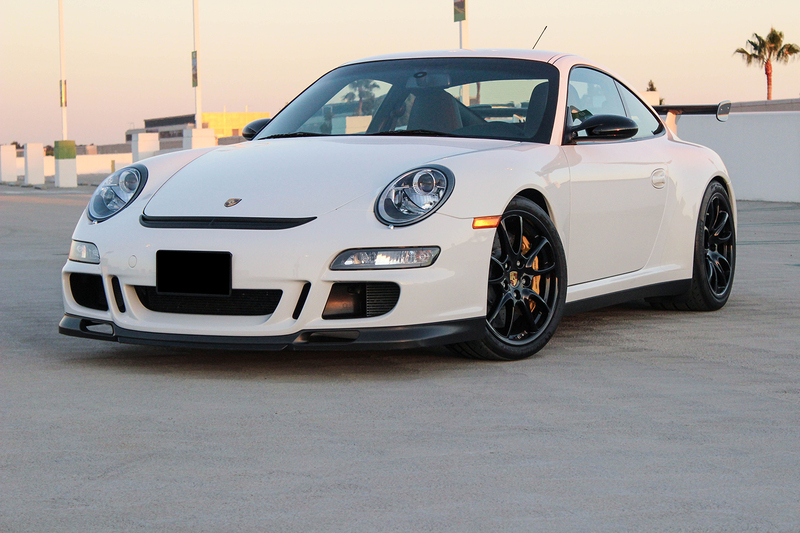 Seinfeld was the first owner of the Porsche 911 GT3 RS and it currently shows only 11,835 miles on the odometer. The GTS offered is finished in Carrera White with full black leather interior. Experience all the high energy excitement of Russo and Steele in Monterey for yourself! Bidder registration is just $200 and includes admission for all 3 days of exclusive “Auction in the Round” action for the bidder and one lucky guest. Online and telephone bidding are available! Join Russo and Steele as they continue to present the hottest nights in Monterey, August 17-19 at the Downtown Monterey Fisherman’s Wharf. Auction previews run daily from 10:00 AM with auctions beginning at 5:00 PM. Be sure to contact Russo and Steele for advance bidder registration and accommodations or to register your premium consignment today. For Enthusiasts by Enthusiasts. ™ At Russo and Steele Collector Automobile Auctions, it’s far more than a tagline – it’s our lifestyle! To obtain further supporting documentation, high-resolution images, or more information about Russo and Steele and our upcoming Monterey, California auction, please contact Darin Roberge at darin@russoandsteele.com.